Cool 2017 Blank Calendar ON SALE plus INSTRUCTIONS below. CLICK HERE for 2017 Blank or Personalized Photo Calendars ADD Your Pictures with Amazing Paper Quality and Print with BULK Discounts or Buy ONE. Easy VISUAL INSTRUCTIONS below on How to Make a Calendar with Pictures. Blank Calendars or Custom Picture Calendars. Custom Photo Calendars Bulk pricing starts only Two (2). I really appreciate and want to thank you helping us make this our TOP SELLING product. I am so grateful that you chose to shop with Little Linda Pinda. When you are taking the time to create a photo calendar online, you want the Best Photo Calendar Website around, Zazzle. You will not be disappointed and if you are, Zazzle will allow you to return them even though it was customized by you. I find that amazing. Not all personalized companies offer that. Here is my Christmas Gift. A Zazzle Photo Calendar from my daughter and her family. It was such a hit with all of us last year, we wanted it again. The price is so incredible for this quality. We received another 2017 smaller desktop calendar from another family member but the photos were dull and not bright and vibrant like the Zazzle Calendars are. Here are photos of each calendar for a comparison. The cover paper on the Zazzle Calendar is a thick gorgeous Semi Gloss and the rest of the pages are heavy quality printing paper so every page is impressive. Considering that most of the images, if not all of the images in this calendar were taken with an iPhone 4 or 5, I think the photos turned out amazing. Looks better in person. The front cover is a beautiful semi gloss heavy weight paper. The inside paper months are a very smooth heavy paper made for printing photos. 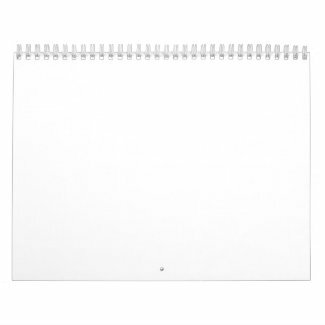 With Zazzle’s state of the art Robotic Printing process, you are buying the best Photo Calendars. See the much duller desktop calendar given to us from someplace else. Shockingly difference in quality of the Photos from the Zazzle Calendar to the other company calendar. The paper feels a bit thicker and feels smooth but the pictures came our very dull looking. I covered up the adult faces. This is a desktop calendar from a different company. Zazzle does not offer desktop calendars at this time. I just wanted to show you the vast differences in images. This image was also taken by a professional photographer compared to the Zazzle calendar images were taken, mostly if not exclusively with an iPhone 4 and iPhone 5. Receiving this calendar showed me even more directly just how much better the Zazzle calendars are. I think Zazzle is the very best photo calendar websites of all. I am partial because I am a designer and associate for Zazzle but that is why I became a designer and a loyal customer. My custom photo calendar is hanging right by my desk. I get to enjoy pictures of my family every day. Remembering the memories they made throughout the year and the memories we shared with them. Besides Calendars, Zazzle sells so many different products from the normal Mugs and Shirts to Party Supplies, Home Decor, Personalizable Gifts for most occasions. So if you have been wondering Where can I make a Calendar that I will be proud to give, you have found the Best Photo Calendar Website around. We sell 2017 Annual Calendars all over the world. These are selected with US and Canada Holidays chosen but you can remove that feature in the Customize it section. I decided to become a designer / associate for Zazzle after seeing them interviewed on the national news and hearing their commitment to Customer Service, Great Products with the best print on demand companies people can find. My family and I have been so happy with our products. I just love giving these special gifts customized for special people in your lives. Just imagine their faces when they open up your gift to them. That is what pushes me on. I love thinking about the little boy with the great big smile and saying “Thanks mom and dad” when he sees his cool sports gift and the girls who are passionate about the sports receiving gifts for parents and coaches. I got to see this in real life when everyone opened up their calendar gifts last Christmas. I took movies and had so much fun listening to their excitement about how wonderful they are and listened to the reminiscing about all of the memories in these personalized photo calendars. The joy on the faces and their voices were precious. Photo wall calendars by Zazzle are the best calendars and the prices are great too. Match a memorable Picture to the Month of an Occasion. When I put together the calendar my daughter and her family gave us, I did this to the best of my ability and according to the photos she gave me. The most important one their wedding day in November. I make a separate folder for each Calendar year. I then organize the pictures into which month and label it with that month, making it easier as I am uploading the images onto my annual wall calendar. I try to line up photos with the month an occasion happened for important occasion, when I can, but don’t hold yourself to that. I put the priority on the photos I like or my daughter likes more than the occasion. My favorite month is the one I put my son-in-laws photo in his uniform along with the American Flag. For pictures that I didn’t know the particular month or had too many images for that month, I would keep it in the season, such as my grandson playing soccer. I love the warmth of family shown in the picture of father and son carefully and thoughtfully decorating the tree. I want to Thank you very much for coming to Gifts For Creative People and looking at our 2017 Blank Calendar options. Please feel free to call me, Linda for Help or if you wish to make changes to any of my original designs. If you have an ideas or would like me to create a personalized gift, please let me know. If you need help making a photo calendar, please give me a call and I will create it for you at no extra cost. You can send me your images and I will send a link to your new personalized photo calendar. Visit our entire shop with thousands of original designs for sports, cute animals, birthdays, personalized Christmas gift ideas, business and so much more. God Bless You and have a Blessed New Year. Call Linda for Blank Monthly Calendars with or without your pictures for promotional calendars in BULK or buy One.